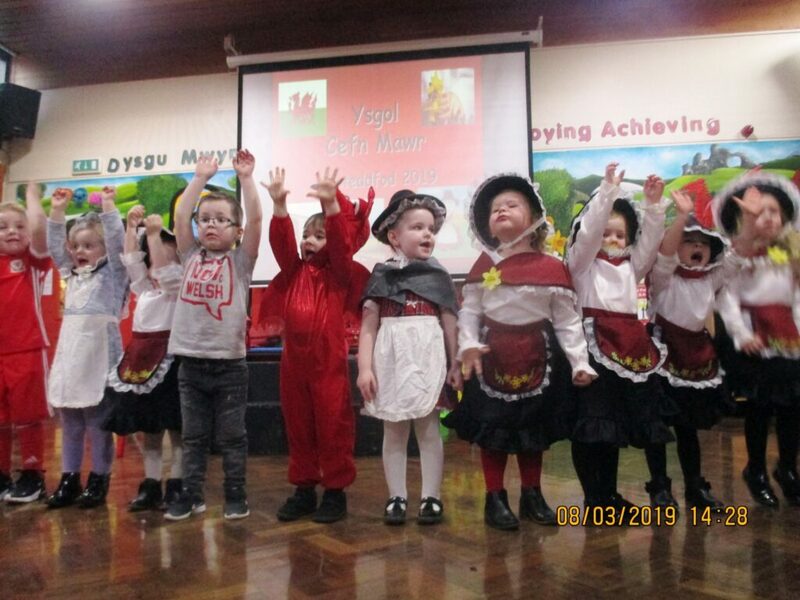 The children looked very patriotic in traditional dress and colours of the Welsh flag. 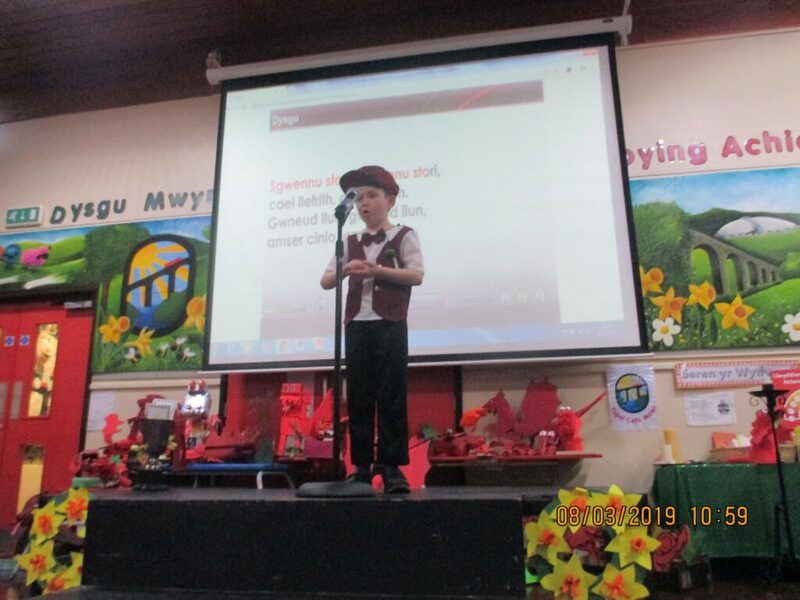 Children performed songs and poetry and sang the Welsh National Anthem and in their house choirs. 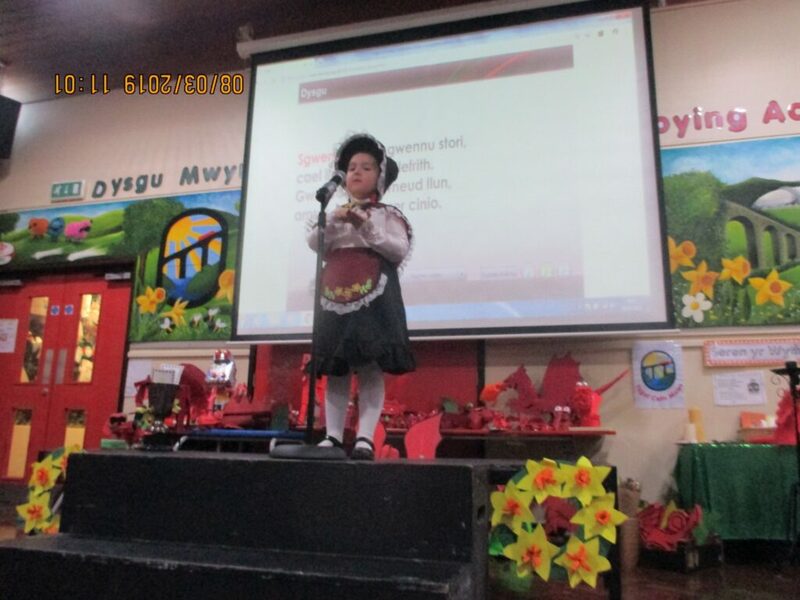 There were also competitions for Art, Technology and story writing. 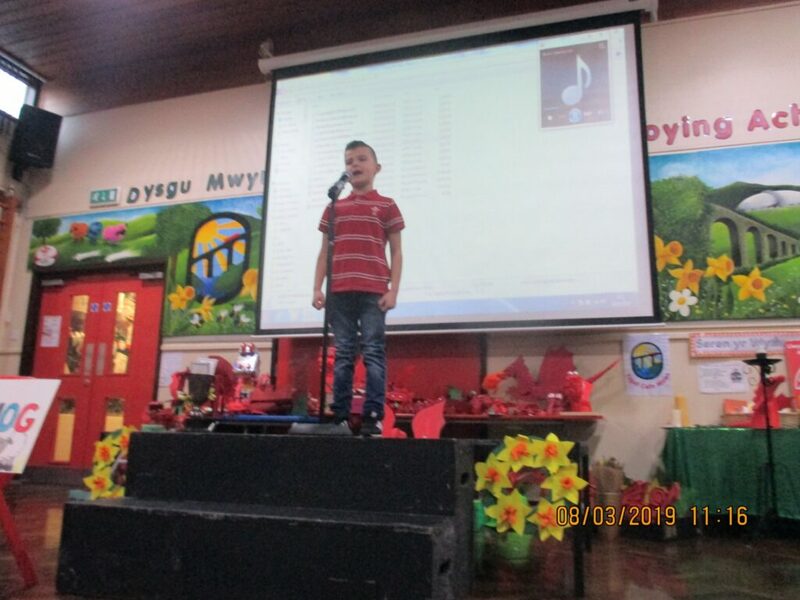 A special thank you to judges Mrs Mair Evans (local musical director), Mrs Ferron-Evans (Headteacher of Ysgol Rhiwabon), Mrs Lloyd-Jones, Mrs V Williams (local Librarian), Miss A Jones (Literacy subject leader and Mrs Ellis (Welsh subject leader). Thank you to Mrs Thrussell for all of your help. We are very proud of the children.